IMCDb.org: 1953 Volkswagen Buss [Typ 2 / T1] in "Bröderna Östermans bravader, 1955"
This one does not have overhang roof design. Could this indciates earlier model? Is that right hand version? 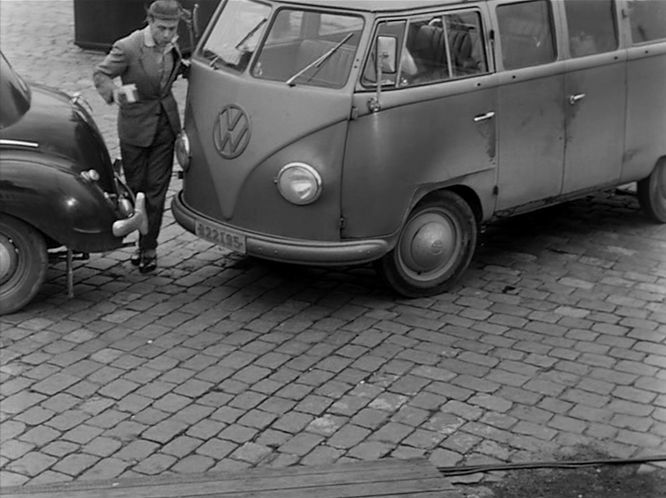 It´s a 1953 VW Buss according to a book over the vehicle registry, it belongs to the film company. Can´t see the steering wheel, but it´s possible that it´s a right hand drive. It was common on these. If it would exist still today, the freaks are paying incredible much money for it. @DAF555: the back doors are on the left side, so RHD is very probable. License plate B22195. B = Stockholms län. 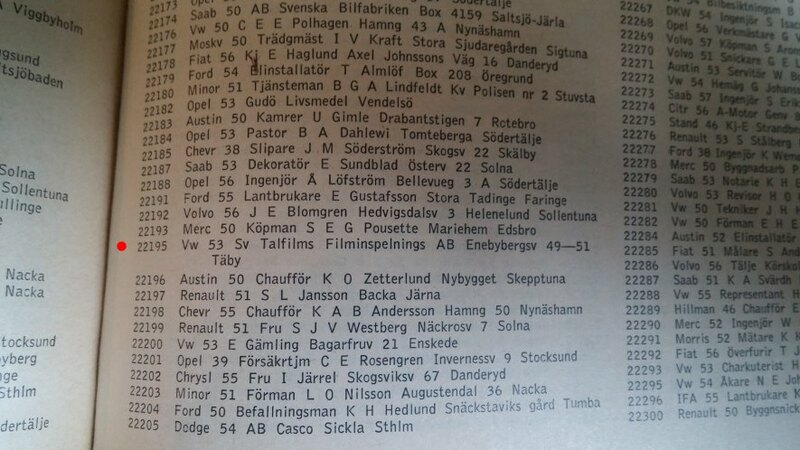 Most cars were LHD - see discussion at /movie.php?id=1004516664. The steering wheel can just be seen in the lower part of the front window. With the doors on the left, passengers (here, the doors are on the other side) could still exit away from the traffic - if any at the time.